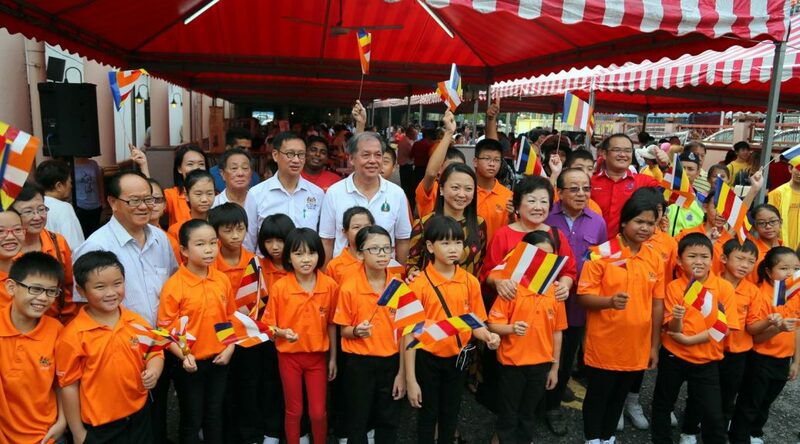 1) This year’s Wesak day falls on 19 May 2019. Wesak Celebration in SJBA will start on Wesak Eve, 18 May with lighting of Blessings Oil Lamps at 7.30pm followed by Wesak Eve Buddha Puja, Dhamma Talk by Ven. Nyanaramsi, Procession Round the Vihara and Bodhi Tree, Chanting and Meditation. On Wesak Day, Puja Service will commence at 8.00am followed by the official launching of the Wesak Day Celebration at 9.45am. Blessings Service will be carried by the Maha Sangha until 4pm. From 11.00am to 2.30pm, vegetarian food will be provided. There will be a Blood Donation & Organ Pledge Campaign. 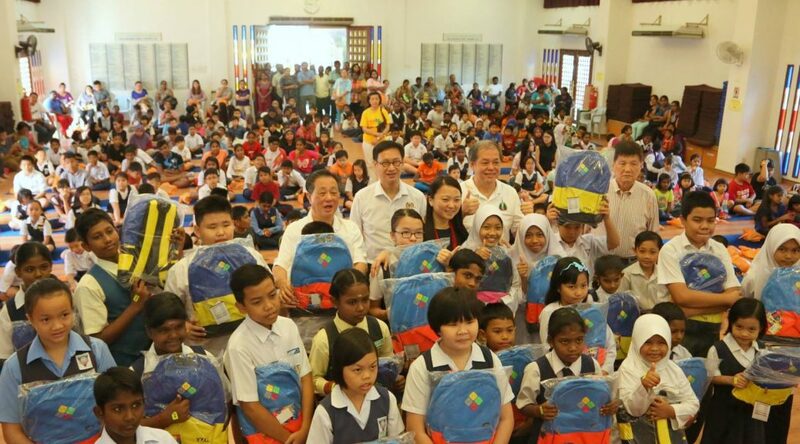 We need around 200 volunteer helpers to help organize all these activities. Please register yourselves by writing your name at our Notice Board or call Sis. Lily at Tel. 03-56315299. There will be Dhamma Talk titled “The Path an Attainment of Ariya-hood” by Ven. Dr. Dhammapala on 1 June 2019, 8pm to 10pm. The Talk will highlight the ‘gradual process of the different stages of spiritual path and their abandonment of categories of defilements, and finally attainment of arahathood. Ven. Dr. Dhammapala has a PhD in Buddhist Study under the supervision of Ven. Dhammajoti n the University Hong Kong. He traveled frequently to conduct meditation retreats, Dhamma talks in Malaysia, Hong Kong, Taiwan and China. Currently, he is the Abbot of the Brahmavihara Monastery & Retreat Centre, Melaka, the Bodhvana Monastery in Sg. Pelek and the Centre of Mindfulness, Hong Kong. 3) SJBA invite you and family and friends to a spiritual and mentally enriching morning at this Sunday’s Buddha Puja commencing at 9.15am with offering of lights, flowers and incense to the Buddha, chanting, Dhamma Talk, Hymns, Blessings and Sharing of Merits. All are welcome. 1) In conjunction with Qing Ming, SJBA is organising a Pattidana on this Sunday, 14 April, 8am to 11am in SJBA Shrine Hall to dedicate merits to the departed ones. Pattidana is for the benefit of those departed relatives and friends who may have been reborn in certain unfortunate state of existence. When they are aware that their relatives or friends have performed some meritorious deeds dedicated to them, they can be relieved of their suffering. When they rejoice repeatedly, their unhappy birth will be transformed to a happy one. 1) The Dhamma Talk titled “The Path an Attainment of Ariya-hood” scheduled on 6 April, Saturday, 8pm to 10pm, by Ven. Dr. Dhammapala has been postponed to 1 June 2019, 8pm to 10pm. The Talk will highlight the ‘gradual process of the different stages of spiritual path and their abandonment of categories of defilements, and finally attainment of arahathood. Ven. Dr. Dhammapala has a PhD in Buddhist Study under the supervision of Ven. Dhammajoti n the University Hong Kong. He traveled frequently to conduct meditation retreats, Dhamma talks in Malaysia, Hong Kong, Taiwan and China. 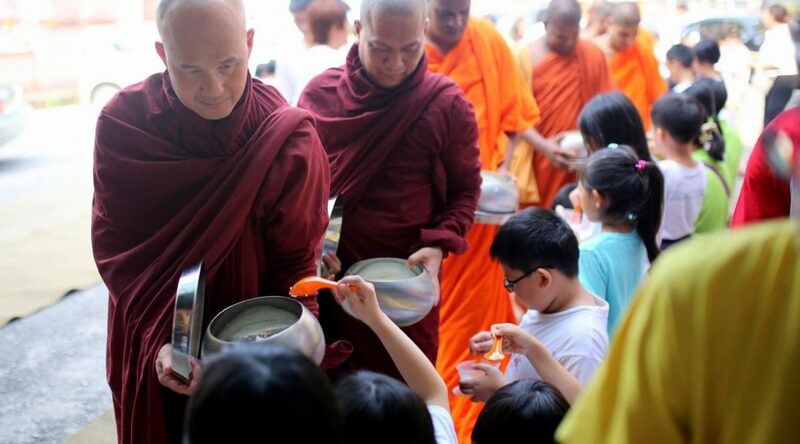 Currently, he is the Abbot of the Brahmavihara Monastery & Retreat Centre, Melaka, the Bodhvana Monastery in Sg. Pelek and the Centre of Mindfulness, Hong Kong. 2) In conjunction with Qing Ming, SJBA is organising a Pattidana on 14 April, 8am to 11am in SJBA Shrine Hall to dedicate merits to the departed ones. Pattidana is for the benefit of those departed relatives and friends who may have been reborn in certain unfortunate state of existence. When they are aware that their relatives or friends have performed some meritorious deeds dedicated to them, they can be relieved of their suffering. When they rejoice repeatedly, their unhappy birth will be transformed to a happy one. 3) SJBA invite you and family and friends to a spiritual and mentally enriching morning at this Sunday’s Buddha Puja in SJBA Shrine Hall commencing at 9.15am with offering of lights, flowers and incense to the Buddha, chanting, Dhamma Talk by SJBA Abbot, Venerable Nyanaramsi, Blessings and Sharing of Merits. All are welcome. 1) There will be a Dhamma Talk titled “The Path an Attainment of Ariya-hood on 6 April, Saturday, 8pm to 10pm, by Ven. Dr. Dhammapala. The Talk will highlight the ‘gradual process of the different stages of spiritual path and their abandonment of categories of defilements, and finally attainment of arahathood. Ven. Dr. Dhammapala has a PhD in Buddhist Study under the supervision of Ven. Dhammajoti n the University Hong Kong. He traveled frequently to conduct meditation retreats, Dhamma talks in Malaysia, Hong Kong, Taiwan and China. Currently, he is the Abbot of the Brahmavihara Monastery & Retreat Centre, Melaka, the Bodhvana Monastery in Sg. Pelek and the Centre of Mindfulness, Hong Kong. 3) SJBA invite you and family and friends to a spiritual and mentally enriching morning at this Sunday’s Buddha Puja in SJBA Shrine Hall led by Venerable Indarathana, commencing at 9.15am with offering of lights, flowers and incense to the Buddha, chanting, Dhamma Talk, Blessings and Sharing of Merits. All are welcome. The “How to Die a Good Death” Workshop will be held in SJBA Shrine Hall this Saturday, 16 March and Sunday, 17 March, 9am to 7pm. As such this Sunday’s Buddha Puja will be held at SJBA Annex’s Dana Hall, commencing at 9.15am with offering of lights, flowers and incense to the Buddha, chanting, Blessings and Sharing of Merits. All are welcome. Dates: April 13 to 17 Ven. Nyanaramsi is a highly respected meditation teacher who provides meticulous guidance and advice to all practitioners. This is thus a rare blessing to be guided by such a wise, experienced and patient teacher. 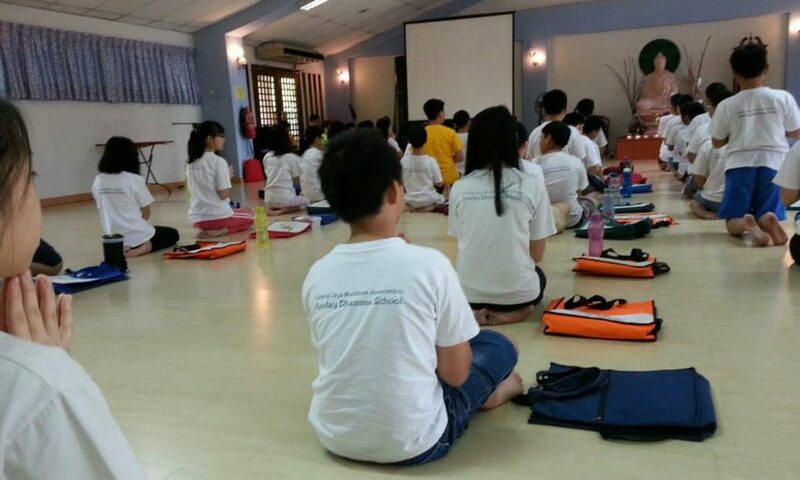 If you wish to join as meditators and/ or to sponsor for the Retreat expenses, please contact our office Sis Lily at 03-56315299 or Whatsapp 0107719480. 2) There will be a chanting practice taught by Venerable Indarathana every Wednesday 8.30pm to 9.45pm at SJBA Shrine Hall. All are welcome to learn the ancient Buddhist devotional chanting in Pali. 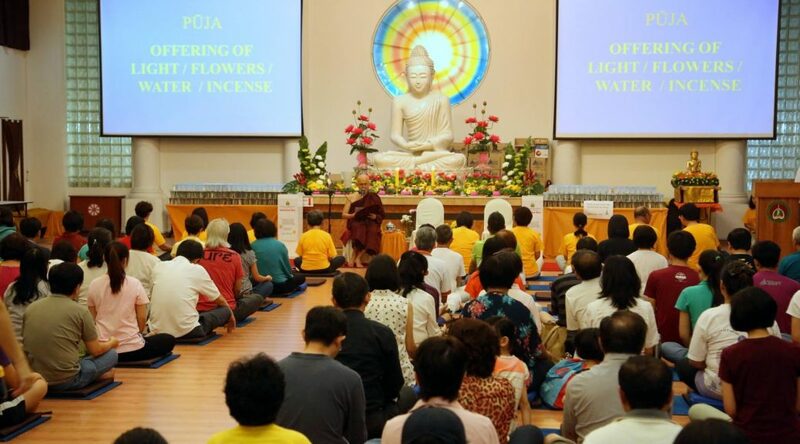 3) SJBA invite you and family and friends to a spiritual and mentally enriching morning at this Sunday’s Buddha Puja commencing at 9.15am with offering of lights, flowers and incense to the Buddha, chanting, Dhamma Talk “Right Intention” by Bro Tan Siang Chye, Hymns, Blessings and Sharing of Merits. All are welcome. 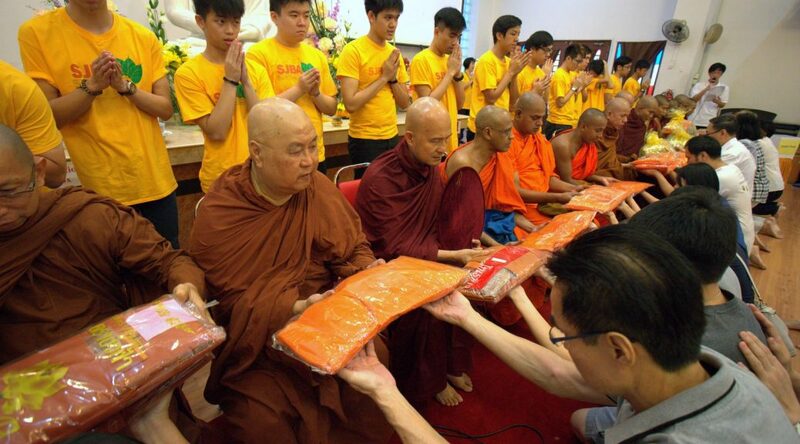 3) SJBA has been allocated 70 tickets for the Musica Extravaganza – Tribute to the late Chief Reverend K Sri Dhammananda Nayaka Maha Thera and other great Teachers in Malaysia who have been instrumental in encouraging the propagation and growth of Buddhism through Buddhist hymns. The Musical will be held at Dewan Sivik Auditorium MBPJ on 16 March 2019, 8pm to 10.30pm, featuring the best of Malaysian Buddhist Music including the Asia Musical Production, The Big Chip, The Wayfarers, Messengers of the Dhamma, The GeesBees, etc, Please call Sis Lily 03-56348181, 56315299 for the tickets (RM50 each). 4) SJBA invite you and family and friends to a spiritual and mentally enriching morning at this Sunday’s Buddha Puja commencing at 9.15am with offering of lights, flowers and incense to the Buddha, chanting, Dhamma Talk, Hymns, Blessings and Sharing of Merits. All are welcome. 2) SJBA invite you and family and friends to a spiritual and mentally enriching morning at this Sunday’s Buddha Puja commencing at 9.15am with offering of lights, flowers and incense to the Buddha, chanting, Dhamma Talk on “Significance of the Chanting of the 28 Buddhas” and Blessings by the Sangha, Hymns, followed by Lunch Dana and a Lunch Fellowship Gathering for the recent participants, sponsors, helpers and organisers of the recent 28 Buddhas Puja Ceremony. All are welcome. 1) SJBA cordially invite you and family and friends to join us at our “Gong Xi, Gong Xi” Dinner on tomorrow, 16 February, Saturday, 7pm to celebrate the Chinese New Year together and promote fellowship as we enjoy the various program planned for the night together with our special guests from Ci Hang Chempaka Old Folks Home. You many bring along some food to share with others and angpows for the old folks too (about 45 pax). 2) SJBA Youth Section will be making house calls to bring New Year greetings and songs, Buddhist hymns and good wishes to the hosts and family on 17 February, Sunday. Those who wish to invite them to your homes on 17 February 2019, may book through Sis. Lily at Tel. 03-56348181 or call Bro Leng Wei 016-3589521. 4) SJBA invite you and family and friends to a spiritual and mentally enriching morning at this Sunday’s Buddha Puja commencing at 9.15am with offering of lights, flowers and incense to the Buddha, chanting and Blessings by the Sangha. The Dhamma Talk on “Mindfulness & Therapeutic Significance” will be given by Dr. Sumana Rathnayake. Dr. Sumana is a Senior Lecturer in the Department of Pali and Buddhist Studies, University of Peredeniya. He graduated from the University of Kelaniya and obtain his M. Litt. from the University of Oxford. He now teaches Buddhism, Mindfulness, Buddhist Philosophy and Pali.